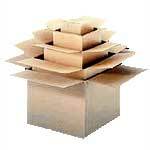 At CORE Industrial & Safety we stock a large range of different size cartons in various board grades. We have boxes to cater for all needs whether it be for, removals, storage, electronics, archive and storage, food packaging (HACCP certified) or within general industry. We can also custom make the exact carton you need. If it's a small run or thousands you require, printed with your company details or plain, we are sure to satisfy your requirements. Simply call, fax or email an enquiry and we will be glad to assist you.